With bristles made of superior goat hair, this Yves Saint Laurent Beaute makeup brush is optimal for use with powder blushes and for a natural sophisticated glow with YSL Créme de Blush. The Yves Saint Laurent Beaute Eye Definer Brush is the ultimate precision tool, perfect for applying powder eyeliner, contouring the outer angle of the eye, or shading and smudging a pencil line for a smoky, softly lined look. 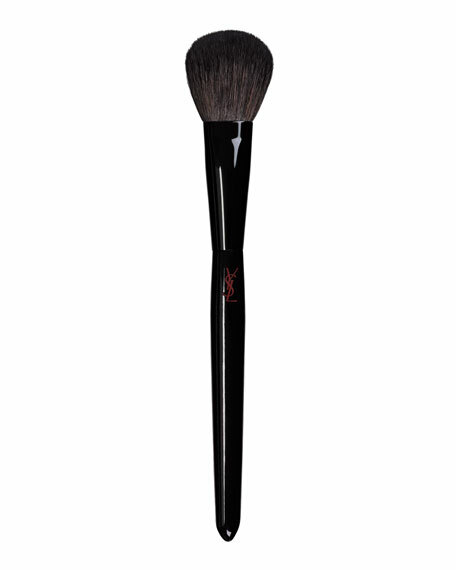 The Yves Saint Laurent Beaute Eye Shader Brush is perfect for powder and creamy eye shadows. The bristles are made of marten hair.